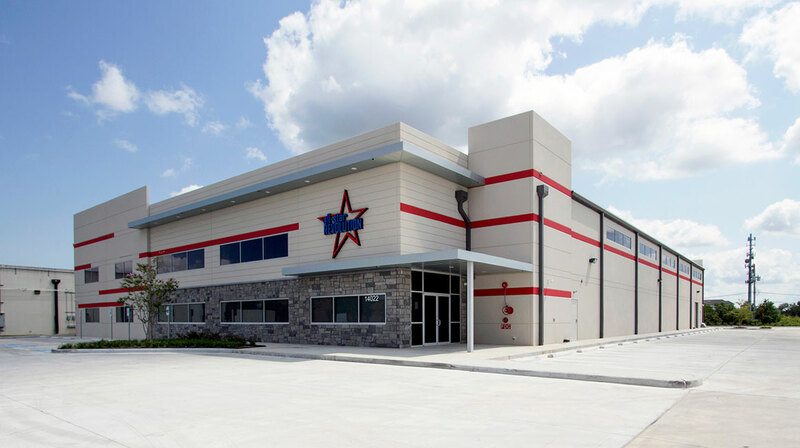 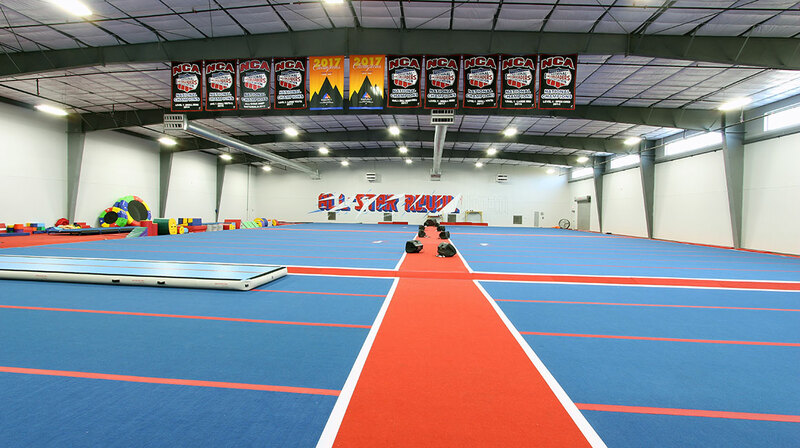 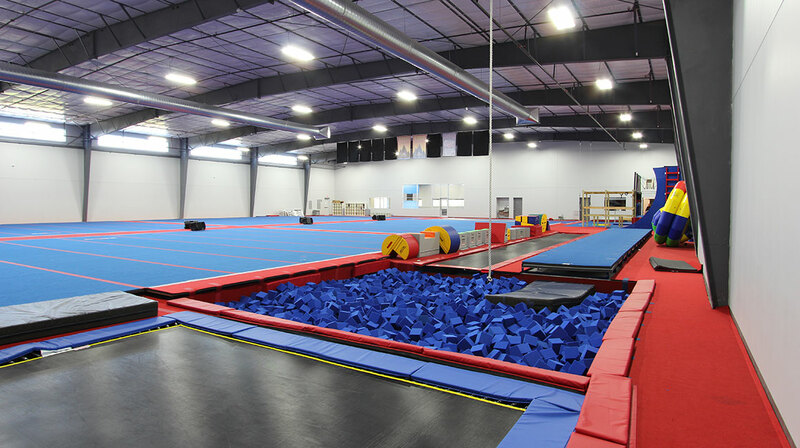 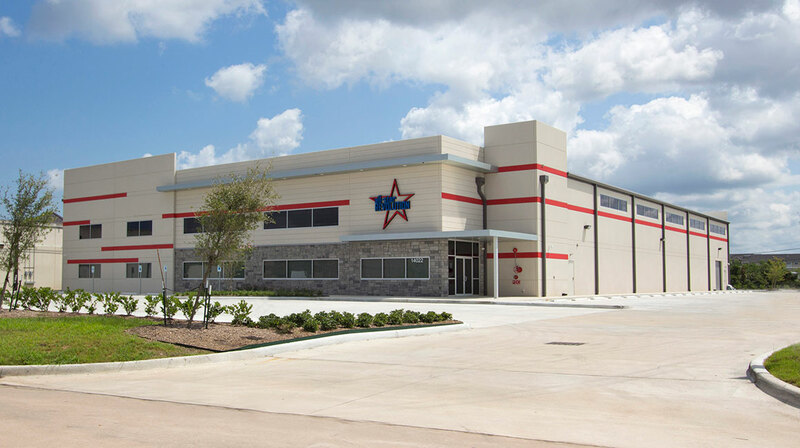 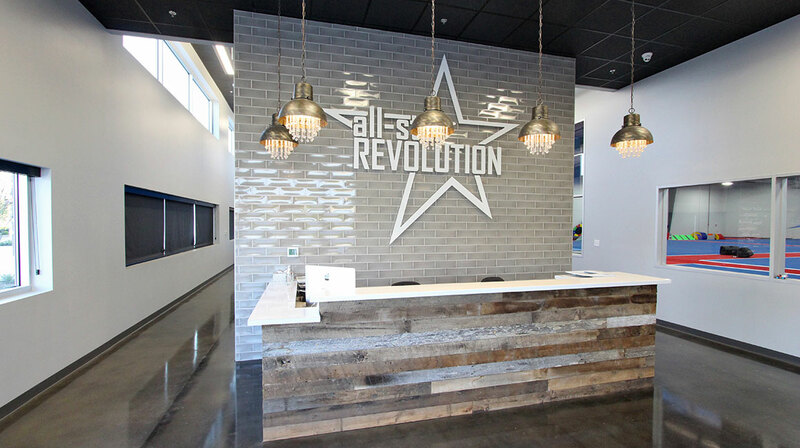 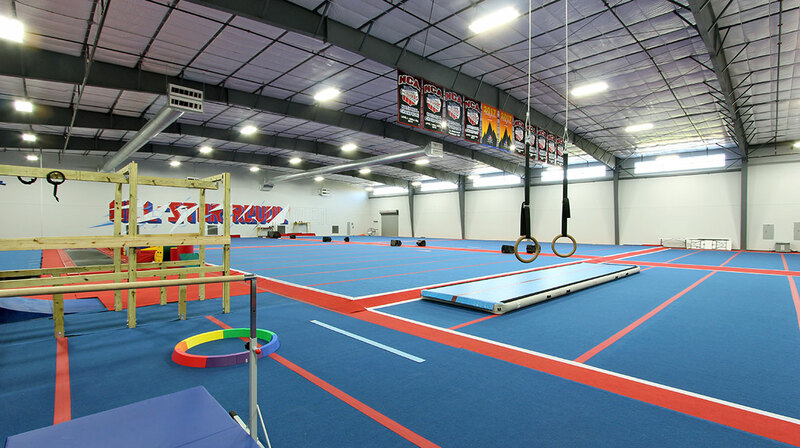 A modern gym built for competitive cheerleading and tumbling training. 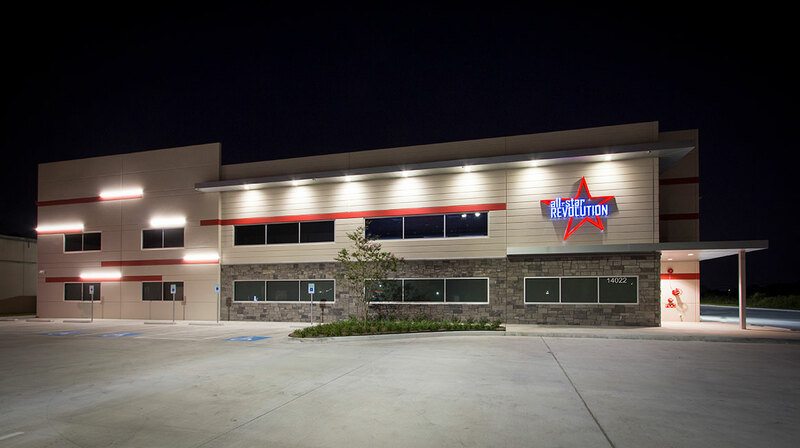 The tilt-wall construction features linear reveal patterns, aluminum canopies and stone accents. 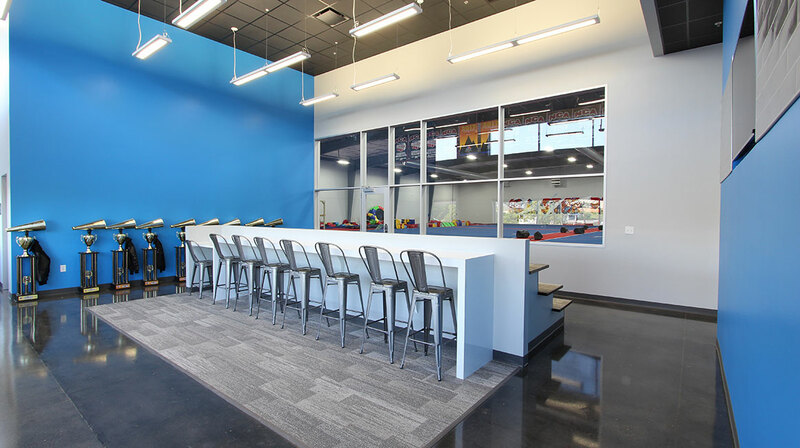 The large open interiors utilize clean lines and modern materials, highlighting focal points within the lobby, lounge and gym areas. 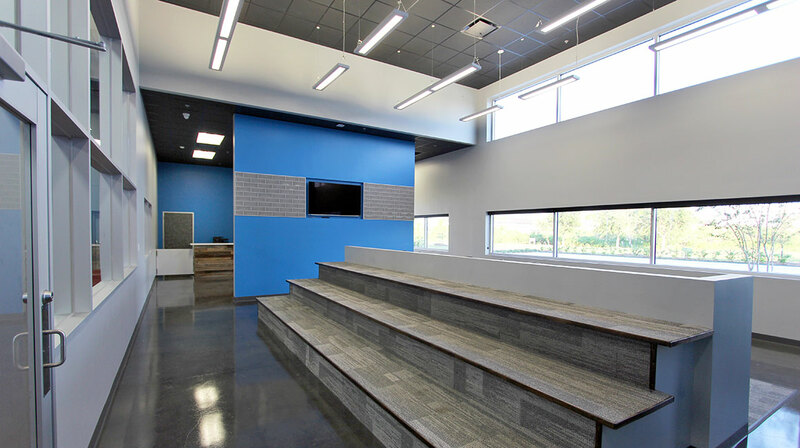 Natural light brightens the space with the ample presence of large ribbon and clerestory windows.